I want to start that by saying that there should be no such thing as a ‘first bird’ or so-called beginner parrot, and this post was sparked by reading Patricia Sund’s essay ‘I don’t believe in “starter birds,” ‘ many moons ago. Her writing brings up several wonderful points, first and foremost that every single species is similarly messy, loud, and challenging, but owning one species of bird will only ever teach you one thing… how to work with that particular species. Parrots are demanding pets no matter their size. 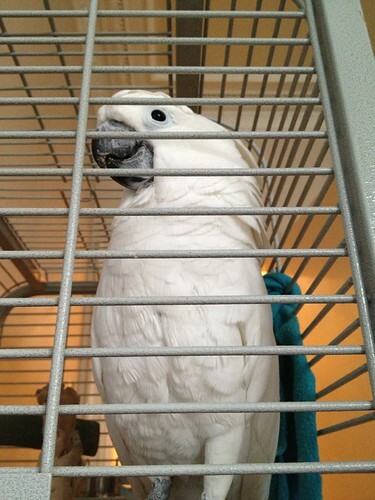 Parrots as pets are often compared to children, babies that never grow up, which you bring into your home for life. And I think it’s unfair to compare them to one another in terms of size alone. Even a very small parrot needs a lot of time, and will cost you quite a bit in terms of vet care, toys, housing, and food. Do you want a pet that cuddles? Unfortunately, no parrot is truly suitable for that. Cuddles are a huge trigger of hormones, and will result in your parrot turning on you in frustration, amongst other negative behaviours. Cockatoos are infamous for their cuddles, which makes them one of the most difficult birds to own. If you want a cuddly pet, try a cat or dog instead. Do you want a bird that talks? Many birds will never talk, but some are known for being better mimics than others! 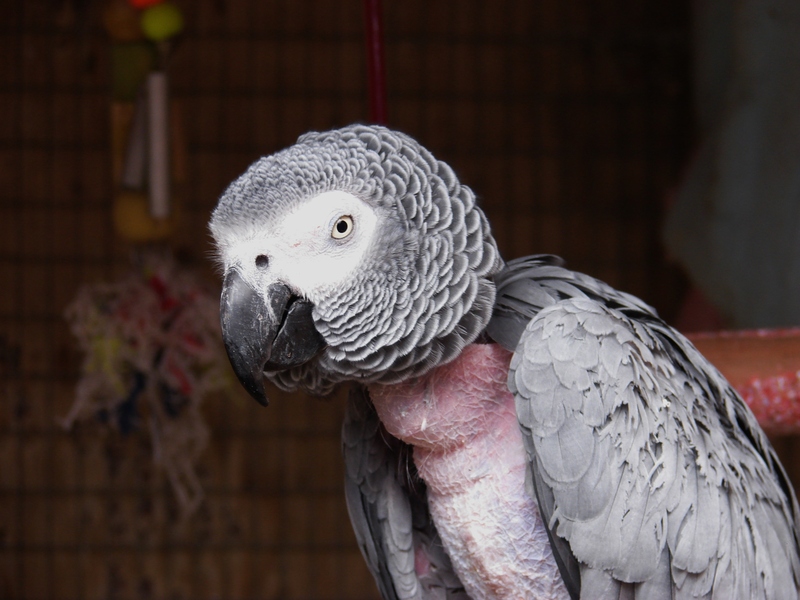 African Greys are renowned for their speaking ability, but it’s not uncommon to see Greys that don’t say a single word. A budgie actually holds the world record for best vocabulary, while Amazons are also praised for their speaking ability. How much time do you have to devote to it each day? Even a parrotlet, lovebird, or budgie needs three or four hours spent out its cage each day, plus regular training and one-on-one time. Larger parrots require exactly the same things. The difference between them is that a macaw makes itself noticed when it is unhappy. There’s no such thing as a low-maintenance parrot. Birds who are unhappy will scream, bite, and pluck or mutilate their feathers. How old are you? This might seem crass of me to mention, but cockatoos and macaws (just as examples) are known to live for well over 60 years. The longest lived macaw is about 111 years old, according the the BBC, and there’s a cockatoo recorded alive at 80. So it stands to reason that your bird might well outlive you – you need to ask how you will care for it, and what happens to it if you pass on. Do you want a quiet parrot? If you need a quiet home, say, because you have neighbours, consider a smaller species of parrot. 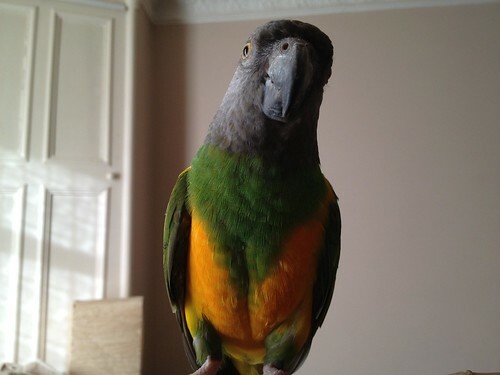 These are, however, still very noisy themselves… If you need absolute silence, a parrot will not be a good match. They all have the potential to produce some ear-splitting noise. Scared of the beak? All birds bite, but some are more nippy than others. Steer away from very small birds, as these tend to be the nippiest of all (aka lovebirds and parrotlets), but also beware of the big ones like macaws or Amazons, whose beaks can be devastating. 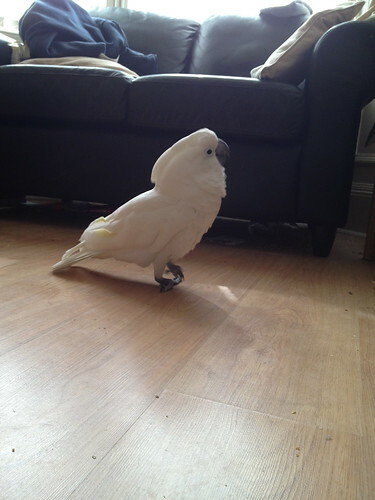 When searching for the right match for you and your home, it’s easiest to define, I think, what isn’t a good one for new owners: cockatoos. They’re parrots, yes, but I think of them as in a class of their own. If you’ve found this article because you’re interested in buying or adopting a Moluccan or Umbrella ‘too especially, please, visit mytoos.com. There is a brief slideshow of what happens when inexperienced owners fail to cope with the complexities of these beautiful parrots, as well as a sound clip that you should turn to full to preview the kind of experience you will suddenly have 24/7. The site is filled with horror stories from well-meaning, but unsuspecting owners who found themselves deep in a world of cockatoo tantrums, wicked bites, and endless screaming. Moluccans and Umbrellas and all other cockatoos, too, are the most commonly relinquished birds to rescues. They’re sensitive, demanding, highly intelligent animals, and they’re noisy as hell, too. Did you know that their cries carry for miles, even those of smaller species? Multiple parrot rescues I’ve talked to say that if they could take one species out of the pet trade and one species only, it would be cockatoos. They are extremely difficult to live with – as an example, the Island Parrot Sanctuary turns away 4-5 cockatoos alone per week. Our own experience with an umbrella cockatoo was tough. They are not easy birds to handle and they are actually dangerous. We all think that we will be the one to tame this wild creature (even I did, once), but the truth is, we can’t. Not because we humans aren’t good, loving owners, but because the animal itself is a creature of instinct. No one can overcome that fully. There is a lot to prepare for with ANY parrot you bring home. How do I get experience if I’ve never met a parrot before? Whether you’re considering a cockatoo or a budgie, the best way to gain experience is by volunteering with an avian rescue. It’s a lot cheaper for you if you come to the conclusion that being a virtual slave for the next 20-60-odd years isn’t for you. Volunteering is a lot of fun, and you’ll learn important skills, such as how to prepare food for your parrot, and how to restrain him or her when spring hormones strike. Talk with other owners, join online groups and forums, and educate yourself. Knowledge is power. They are just as intelligent, sentient, and emotive as any large parrot, even the common budgie (sometimes called a parakeet). No parrot should be looked at as something to cast aside – they’re living creatures, not objects. It’s often said that bigger birds are harder to take care of than many smaller ones. If nothing else, their beaks are enormous and capable of delivering great damage. 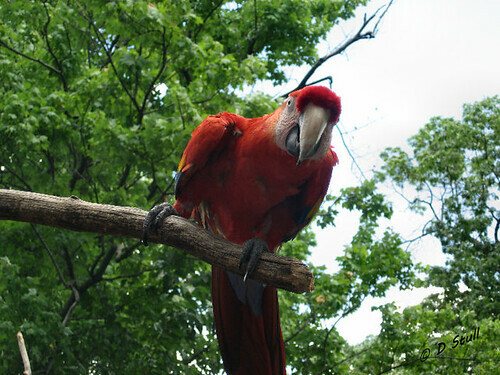 The hyacinth macaw, for instance, is the largest parrot in the world. Their huge beaks can cut through the bars of a cheap cage. Hyacinths are known as gentle giants, but that doesn’t mean that they won’t bite – and when they do, they break bones. You might follow a logical line of thought and decide that if a large species is a problem, you’ll find a smaller species. A quick Google search later, and you find yourself looking at lovebirds and parrotlets – both very small. I keep saying it: Little birds are just like big parrots in a smaller package. They are intelligent, loving creatures who deserve a big cage, good diet, empathy, and lots of toys to chew. Some owners label them as having ‘small bird syndrome,’ which I think is a bit of a disservice. There’s no such thing as small bird syndrome, because ALL small birds have enormous personality. That’s why they are my favourites! They come with their own unique set of challenges, however. Parrotlets and lovebirds, for instance, are nippy, bossy little birds who know what they want and are not afraid to bully someone many times their size to get it. For that reason, they are far from good ‘starter’ pets, and definitely not good pets for children. Due to their tiny size, people tend to underestimate them. That’s the problem. Small birds are extremely territorial by nature. Different species bring different challenges. The truth of it is that you simply can’t go into ownership looking for an easy bird. There’s no such thing. No matter what parrot you bring home, you’re going to find yourself dropped into the whole new realm of parrot ownership. Because of the complex demands of owning any bird, new owners are wise to do their research. If you have honestly no idea what you’d like, enjoy doing your research and talking to owners and rescues. You can browse through the 350 or so species of parrots in the world here at www.parrotspecies.org (not all are bred in aviculture). When looking at species profiles, you have to remember that this is a broad view quite possibly written by someone who stands to make money from bird sales, and that the pet you end up with will be an individual. The general information available online is not representative of real parrots. Your best bet is to meet real people with real parrots. Some species are said to be more difficult to care for than others, such as cockatoos and their infamous aggression once they mature. Greys are renowned for their anxiety issues and plucking, Amazon parrots typically have issues in males with hormones, while parrotlets are often territorial. When you look at all parrots overall, however, you’ll find that every species has its ‘drawbacks,’ and every one of them can be worked through with a whole lot of hard work and training. Once you’ve considered everything and chosen a species of bird that you feel suits your lifestyle, you may find yourself stuck wondering whether you need to work up to your desired species. What if you’re eager to buy a scarlet macaw, for instance, but you’ve never seen one in your life? People will argue it both ways. I say no, you don’t need to work up to a big parrot, simply because it is so disrespectful to the smaller species. Don’t treat a budgie as a castoff just because it cost $25 at the store. It’s still a living creature that can feel pain. Did you know that parrots grieve? Yes, a budgie is a parrot. Buy a small species because you love it, not because you want to discard it later for your ideal bird. Buy a big one if you are prepared for hospital visits, enormous messes, and some ear-splitting noise. Prepare yourself by volunteering. That is the safest way for everyone if you feel you’re not ready for your dream parrot. Remember that two wonderful yet often overlooked pet parrots are cockatiels and budgies. For someone not sure what kind of bird is best for them, these delightful parrots have the full personality of a macaw, but won’t take your fingers off. Budgies are NOT good starter birds, because there should be no such thing as one. But they are still wonderful companions. All parrots are created equal – and while they may be noisy and messy, they will also bring a lot of joy to your life if you have the patience to put up with one. Bestinflock blog – best parrots for families with children. Guide to buying your first bird. Well, you know what I think. First of all, I don’t believe people have any idea what they are getting into with a cockatoo. They are wonderful birds but they can break your heart. I found out right away that I am an African Grey person. It’s just who I am. I wrote “I Don’t Believe in Starter Birds.” because I think the smaller species deserve the same respect as the larger ones. And there are so many people that prefer the smaller species. They don’t want larger ones because I guess one likes what one likes. And it’s an insult to the smaller species and to the people who love them that “graduating” to a larger species is how one learns. It’s not. Excellent post here and thank you for writing it! I had originally fallen in love with cockatoos… Through researching, though, I quickly saw that they weren’t ideal for someone in my situation – but fell in love with ‘tiels instead. Hence our Mishka. I have to agree that it’s an insult to the wee birds to talk about graduating from one species to another, especially when I remember that they’re all pretty equally demanding. It occurred to me that a lot of people still think of budgies or cockatiels as ‘inferior’ to macaws and the like. Definitely an insult. 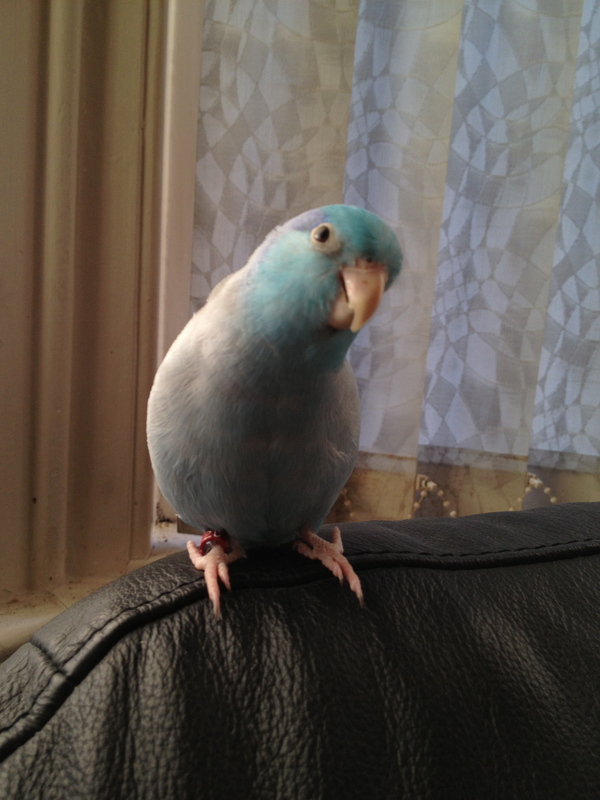 Folks simply don’t respect small birds – like my parrotlet, who, when we’re travelling, gets endless fingers trying to poke and prod him, despite multiple warnings from me. I hope more people read your blog post. Thank you – and thanks for reading! I feel sometimes that I go on like a broken record, but maybe writing posts like this will make a bit of difference to someone, somewhere. Thanks! Research is a biggie… I can’t imagine jumping into this without having read up about it. I’d be floundering, haha. I think the best way to describe bird ownership is as a lifestyle choice. It’s funny how different end up with their (species of) birds… I’ve only heard wonderful things about Pionus! Very informative, I am new to parrots and avian conservation, adding this topic to my humane education program, so this is a great help. I believe we should move towards a model of no more birds as pets while nurturing and caring for the unfortunate birds stuck in rescue. I hope through education we can teach people not to buy birds as pets…if they must have a bird, they should ADOPT through a reputable rescue. Thanks! I definitely share your views on birds, and it makes me happy to hear about more people moving towards that! Thanks for sharing – everyone who spreads the message of “shop, don’t adopt” helps. For those who read my post “Bird Interrupted” I thought I would reblog this great informative post. Do your research before adding any pet to your family. Thanks! Thanks for posting. Smaller birds are much more difficult to get to their expected lifespan making them birds that should go to more experienced keepers. Parrotlets need an exacting diet and care to get to 20yo which is how old they should live to be, however most are lucky to see 10. The same goes for budgies, Dr Susan Clubb had stated that a well maintained budgie should live to be 15-18 not the 8 or less that is the norm. If anybody tries to sell you a “starter bird” or says a certain type of bird is a “starter bird” don’t believe them…especially if they purport to be experts. I think birds should not be pets!! They are a part of the family and the more you know the better off you’ll all be! People need to realize that birds are not solitary ever! They are born in a flock and are in a flock their whole lives! So if you have just a single bird you will be their flock!! I was afraid of birds after getting bit by my grandma’s Amazon! I was later asked to take care of my green conure, who was than just given to me! I knew nothing about them and couldn’t find much on Internet or books! Luckily she is a sweetie and we learned together! She is now 15 and I got her when she was 3 . Still not sure how long she lives but I hope it’s 30 yrs rather than 15 as she is 15! Last year my hubby rescued a blue and yellow nmacaw thinking we could do this as we have a bird lol. The macaw was half bald from feather plucking so not a good start! But she is such a sweet heart! Once again we’re learning together, big difference between the 2 birds on everything lol she is still plucking feathers so I’m feeling like a failure but we will try the next thing, a collar. I will never just give up on either bird! That being said they are a lot of work and enjoyment! People think oh, so cute but have no idea!! They really need to know what their getting into before hand! Thank you for all your help and great ideas! This post is amazing! My first bird was a Budgie, but not for a “starter” bird. I have continued to own only Budgies ever since. I too really wanted to maybe adopt a Cockatoo, Macaw, or Amazon parrot in the future, but never did I ever think of trying so called “starter” birds out first. I researched these 3 types of Parrots, but finally decided that as of right now, these Parrots were just not the right fit for me. I also think it’s unfair to the smaller birds to be used as “starter” birds. We cannot use smaller birds as experiments to eventually work our way up to the bigger birds. These smaller birds such as Budgies, Cockatiels, Lovebirds, Parrotlets, etc are all living things, and just because they’re smaller doesn’t mean they can’t feel or think the same way bigger birds can. And just because they are smaller doesn’t make them just as magnificent as bigger birds. The first step to deciding if you want a larger Parrot or not is not to try out the smaller birds first, but to do research on the bird, volunteer to work with that species of bird, and discover if you have what it takes to care for this bird. Now, that doesn’t mean you cannot own other species of birds, but it’s unfair to use the smaller birds as experiments. Plus, how is getting a whole different species of bird going to educate you on the specific, bigger bird you want? As said above by others, you need to communicate with owners of the bird you wish to get, do some research, and even volunteer to work with that type of bird. I personally prefer owning smaller birds. Firstly because they do not make that ear-piercing scream that most bigger birds do. And though they are more nippy, their bites cannot be so dangerous to people as to break bones. Plus, who doesn’t love a little bird that you can hold in the palm of your hand? 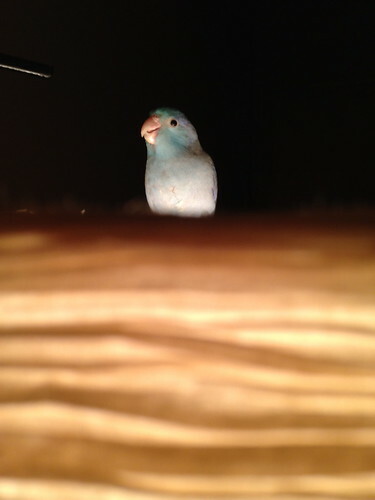 And smaller birds, especially Parrotlets, are known as “Pocket Parrots”! However, I believe that there is no wrong or right pet bird. It just depends on what the owner prefers. Besides size, appearance, and some differences in care, birds are equal! And no bird should be considered a “starter” bird, not even the smallest and easiest-to-care-for birds! I realize that I’m late to the party here, but as the former companion of four different parakeets in my life, they are awesome friends. All had different personalities, but were characters with there own quirks, One was a talker, and totally fearless, yet the most outgoing and hilarious little guy ever. Another was quiet and reserved, yet loved to ride on anything that moved: electric trains, remote control cars, me, the dog….anything…and he never talked. Another was sort of bipolar, yet funny in her own sort of grumpy way. My point is, small birds are wonderful, precocious creatures that have individual personalities and are just as awesome as big birds if you give them the chance. Most people just keep them in a cage, but mine were always out doing whatever I was doing and were better friends than a lot of humans. I miss all of my bird buddies. Anyone who thinks a ‘keet is disposable shouldn’t have a bird at all. Part of the reason I came to this site was to find out more about larger birds, as I have always wanted a Grey, but it made me realize I just need another budgie.